You must make reservations at least 5 minutes in advance of the time at COAST at Ocean House. Sunday: 5:30 p.m. to 9:00 p.m.
Wednesday: 5:30 p.m. to 9:00 p.m.
Thursday: 5:30 p.m. to 9:00 p.m.
Friday: 5:30 p.m. to 9:00 p.m.
Saturday: 5:30 p.m. to 9:00 p.m.
COAST offers a seasonal menu that changes nightly and showcases the finest of each season’s products. Our collaboration and proximity to local farms allows us to source the highest quality ingredients of not only the season, but of that day, creating a distinctive dining experience for our guests and allowing us to present the best possible menu every evening. Dining guests may select from a prix-fixe four-course savory or vegetarian degustation menu with optional caviar and/or cheese course available to elevate the meal to an indulgent six-course culinary journey. Selections change daily to reflect the freshest ingredients and flavors of the season. Resort elegant. Requirements are a collared shirt and slacks for gentlemen with jackets preferred. For ladies and gentlemen we do not permit jeans, shorts, flip flops, or tennis shoes. 2015 Duckhorn Vineyards, Sauvignon Blanc, Napa Valley, California, U.S.A.
2014 Jonathan Edwards Winery, Chardonnay, North Stonington, CT, U.S.A.
2013 Justin Winery, "Isosceles, " Paso Robles, California, U.S.A.
2011 Shafer Vineyards, "Hillside Select"
2001 Hospices de Beaune, Meursault-Genevrières, 1 er Cru, "Cuvée Baudot"
2014 Francois Carillon, "Les Folatières"
2013 Yves Cuilleron, Condrieu, "Les Chaillets"
2014 Yves Cuilleron, Roussanne, "Les Vignes d'à Côté"
2013 Pine Ridge Vineyards, "Carneros"
2013 Shafer, "Red Shoulder Ranch"
2014 Ferrari-Carano Vineyards and Winery, "Fumé Blanc"
2013 Sonoma-Cutrer, "Russian River Ranches"
2012 Château Phélan Ségur, "La Croix Bonis"
2009 Château Lynch Bages, "Echo de Lynch Bages"
2010 Château Lynch Bages, "Echo de Lynch Bages"
2012 Château Brane-Cantenac, "Le Baron de Brane"
2008 Château Palmer, "Alter Ego"
2009 Château Haut-Brion, "La Clarence de Haut-Brion"
2013 Domaine du Pegau, "Cuveé Reserve"
2012 Domaine du Pegau, "Cuveé Lawrence"
1998 Pierre Usseglio, "Cuveé de Mon Aieul"
2001 Pierre Usseglio, "Cuveé de Mon Aieul"
2005 Pierre Usseglio, "Cuveé de Mon Aieul"
2010 Rocche Costamagna, "Rocche Dell' Annunziata"
2008 Angelo Gaja, Pieve Santa Restituta, "Rennina"
2004 Castello Dei Rampolla, "d'Alceo"
2008 Il Borro, "Pian di Nova"
1994 Luce della Vite, "Luce"
2009 Marchesi de' Frescobaldi, "Lamaione"
2005 Marchesi de' Frescobaldi, Tenuta di Castiglione, "Giramonte"
2008 Marchesi de' Frescobaldi, Tenuta di Castiglione, "Giramonte"
2010 Tenuta Argentiera, "Giorgio Bartholomaus"
2010 Tua Rita, "Perlato del Bosco"
2013 Domaine Serene, "Evenstad Reserve"
2013 Domaine Serene, "Yamhill Cuvee"
2009 Coup de Foudre, "37.2 Cuvee"
1986 Duckhorn Vineyards, "Vine Hill Vineyard"
2013 Cakebread Cellars, "Benchland Select"
2010 Grgich Hills Estate, "Yountville Selection"
2010 Herb Lamb Vineyards, "HL Vineyards"
2011 Herb Lamb Vineyards, "HL Vineyards"
2012 Herb Lamb Vineyards, "HL Vineyards"
2013 Herb Lamb Vineyards, "HL Vineyards"
2011 Lail Vineyards, "J. Daniel Cuvee"
2012 Lail Vineyards, "J. Daniel Cuvee"
2013 Lail Vineyards, "J. Daniel Cuvee"
2012 Revana Family Vineyard, "Terroir Selection"
1996 Shafer Vineyards, "Hillside Select"
1997 Shafer Vineyards, "Hillside Select"
2000 Shafer Vineyards, "Hillside Select"
2001 Shafer Vineyards, "Hillside Select"
2002 Shafer Vineyards, "Hillside Select"
2003 Shafer Vineyards, "Hillside Select"
2004 Shafer Vineyards, "Hillside Select"
2005 Shafer Vineyards, "Hillside Select"
2006 Shafer Vineyards, "Hillside Select"
2008 Shafer Vineyards, "Hillside Select"
2009 Shafer Vineyards, "Hillside Select"
2010 Shafer Vineyards, "Hillside Select"
2013 Stag's Leap Wine Cellars, Estate, "Artemis"
2012 Stag's Leap Wine Cellars, Estate, "S.L.V." 2005 Stag's Leap Wine Cellars, Estate, "Cask 23"
2005 Harlan Estate, "The Maiden"
2009 Joseph Phelps Vineyards, "Insignia"
2010 Joseph Phelps Vineyards, "Insignia"
2012 Joseph Phelps Vineyards, "Insignia"
2013 Joseph Phelps Vineyards, "Insignia"
M.V. Emilio Lustau, Solera Reserva, Dry Amontillado, "Los Arcos"
M.V. Emilio Lustau, Solera Reserva, Dry Oloroso, "Don Nuño"
M.V. Emilio Lustau, Solera Reserva, Light Fino, "Jarana"
M.V. Emilio Lustau, Solera Reserva, Palo Cortado, "Península"
M.V. Emilio Lustau, Solera Reserva, Pedro Ximénez, "San Emilio"
M.V. Emilio Lustau, Solera Reserva, Rare Amontillado, "Escuadrilla"
2005 Croft, Single Quinta, "Quinta da Roeda"
2005 Fonseca, "Quinta do Panascal"
2007 Quinta do Noval, "Silval"
Batavia-Arrack, "Van Oosten", Dutch East Indies Trading Ltd.
Rothman & Winter, "Crème de Violette"
Fantastic food, presentation and staff. Expensive but it was a perfect indulgence. Amazing experience. Every detail is addressed. Best hotel I’ve every stayed with. 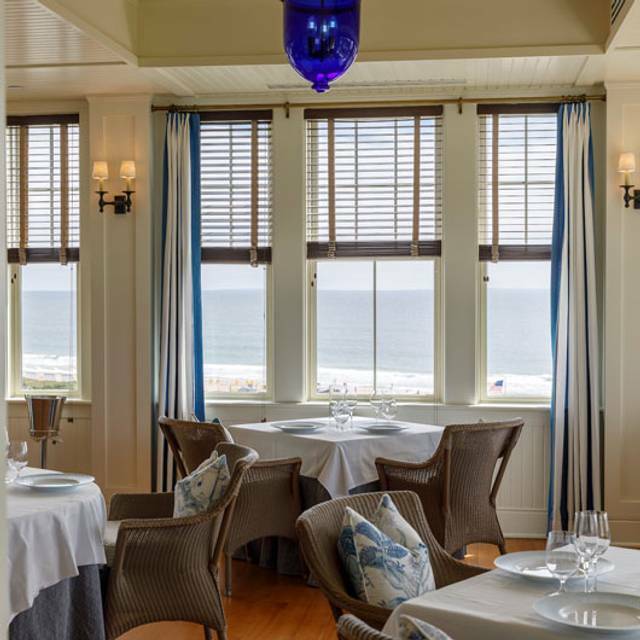 The Ocean House is a timeless gem with impeccable "Ol School" 5 star service. 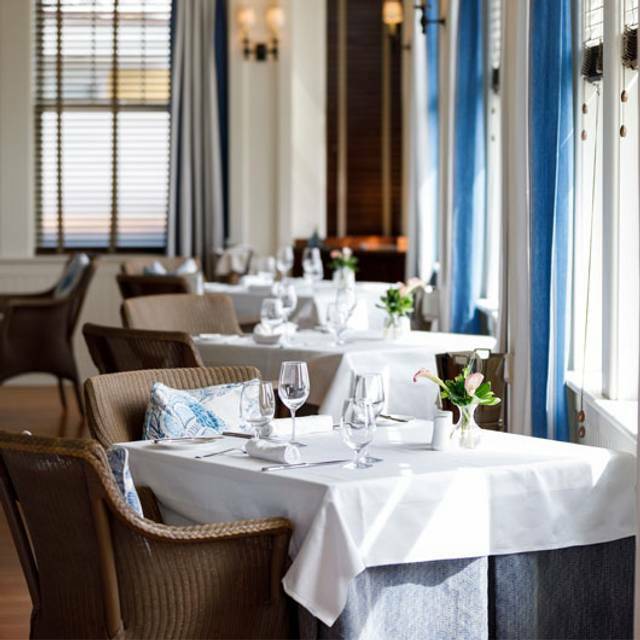 The Ocean House maintains luxury standards of service for a special dining experience. We celebrated an anniversary with them and they were gracious and lovely and went out of their way to truly acknowledge our special occasion. Pricey, but unforgettable. Overall Rating 4.4 (due to food quality pulling down overall experiential score). This was a tough review since we have been coming to the Ocean House and surroundings since the 70's mostly on beach trips to Watch Hill - and have observed the preservation of this once Beach side Grandam hotel go through disrepair to renaissance and renewal. From a classic NEngland Beach House experience to a now "high-style" upper crust resort property - obviously not all good since in many ways it has become far out of reach of the average diner or for overnight friendly hotel visit to RI shore as focused on catering to a high-end clientele of modern "Gatspy" era including local wealthy debutantes and families to NYC/NJ hedge fund winners. This reputation and reality had long kept us from frequenting the property due to high level of pretense, a failure to celebrate the common NE visitor, and intentional movement of Ocean House proprietors to restrict beach front usage of a coast that for years, perhaps centuries had a strong egalitarian feel albeit mostly reserved for the ultra-wealthy that live along this thin peninsular RI jetty - at least to the high water line. All said, we decided to splurge at "Coast" for a 39th Anniversary and open our minds to a visit we had long imagined but never committed. One day before NYrs Eve we had a pleasant surprise as the hotel was quieter than normal and catered beautifully to us throughout the night. The Service and hotel staff received the highest of accommodations (A+++) in being thoughtful, informative and friendly without pretense nor judgement. A really AWESOME Dining Experience - great fun and experiential "theater". The food unfortunately was lacking in taste, exploration, or multi-level flavor profile at times bland and frankly boring even as a "tasting" menu? 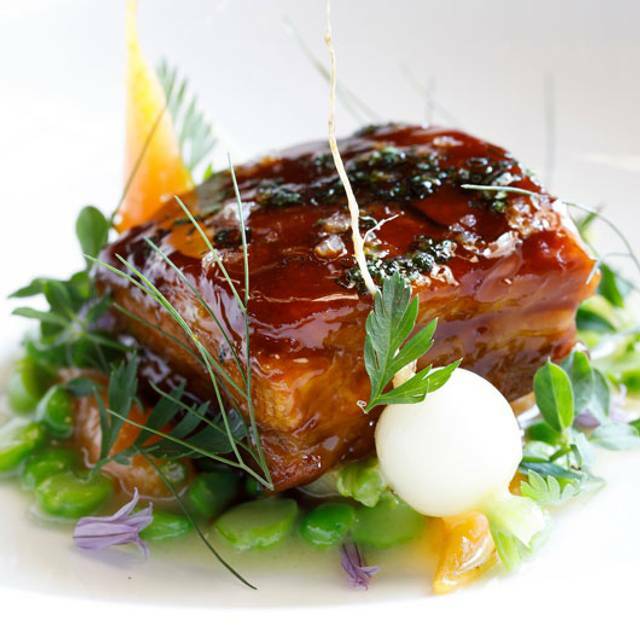 We have eaten at many great Michelin quality restaurants around the world and Coast will need to work to heighten their food experience to be considered again. Coast has fantastic food. The chef was very creative. It was a really fun experience...felt like we were back in France. I took the family for a special occasion and it was just the right balance of drinks, food, and service. Dinner was about three hours. The box of chocolates at the end of the meal was a nice and tasty surprise. I would highly recommend to my friends. the service was outstanding, employees are very knowledgeable; atmosphere, seasonal decorations top notch. The food preparation, presentation and description by server of the various courses was complete and right on. My wife and I wanted to celebrate our anniversary at a special place and we chose well. Always great and the staff is top notch. Beautiful setting with amazing food. Wonderful prix fixe menu with interesting items. Impeccable service as usual. Just a little pricey so tend to splurge here for just special occasions. This was our second time at Coast (previously Seasons). Everything was top notch--service was perfect and the food was exceptional. The halibut was my favorite course along with the brioche with seasoned salts and fresh butter. I enjoyed all of the courses and chose those that I either have never had or never order, such as the first course of oyster and the lamb main course. Each person we came in contact with was knowledgeable, personable, and a delight to converse with. The complimentary taste of sparkling wine, handmade macarons, chocolates and parting gift of homemade granola are just a few of the unexpected additions to our experience. If you want to treat yourself or have a special occasion, this is the place to go. We had a fantastic dinner! Alex and the other staff were beyond amazing. Every aspect of our evening was a personalized and special experience! I selected the vegetable 5 course prix fixe option. Each course was more delicious than the previous. A flavor explosion in my mouth. Beautifully plated. Plus, the service was impeccable. While the food was good it was not outstanding especially with a prix fix of &105. Service was decent and the waiters were very friendly. Amazing! This is top notch dining experience. Foodie or not you will enjoy this. The service is so warm and professional. 5 course prix-fixe menu was creative and delicious. Service was impeccable. A few surprise goodies to top it all off. Has a great ocean front location; one complaint, though, is that my spouse and I were seated to view the water, rather than each other, though it was night time with no real view outside. The 5 course meal takes a bit of time, too; don't do it if you're in a hurry. Celebrated our 40th anniversary here. Everyone was gracious and welcoming. While at first we were disappointed not to have a later time slot, it actually was a blessing as the 5:30 time allowed us to have an unparalleled ocean view for two full hours before the sun set, in a quiet, almost entirely private setting! Had we been at 7:00, this time of year it would have been dark with no view! The food was beyond divine, with scrumptious seasonally fresh local ingredients and lovely presentation. The oil poached halibut with caviar garnish was especially delicious! 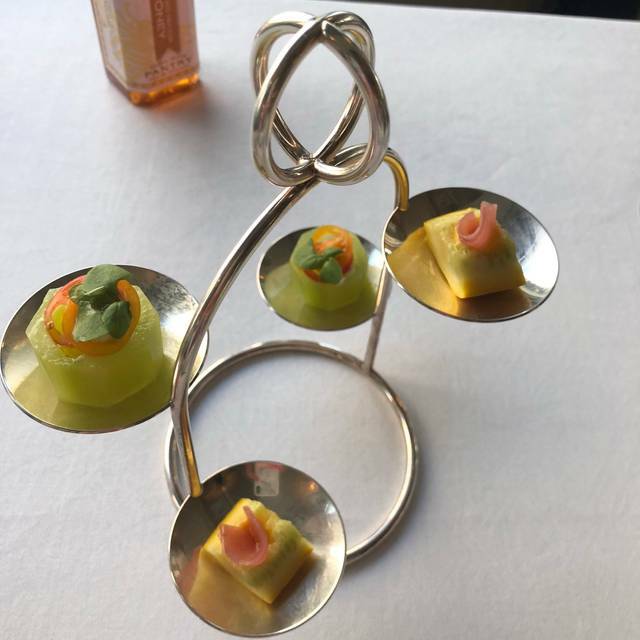 While some might feel the portion sizes to be a bit small, they were elegantly perfect for having a multiple course tasting menu, leaving us ultimately satisfied and not over indulged! The service staff was attentive to our every need, beyond expectation. This was one of our most memorable meals. Such a creative tasting menu! Kudos to the very talented chef 👏! This has always been an excellent restaurant but it’s slipping a bit. Flavors were a bit off, wine pairings didn’t always work, service wasn’t as crisp. This restaurant has been our summer vacation treat for many, many years and it’s always kept up its standards despite a change in chefs, but this year wasn’t the same. It was very good, but for over $500 for two for the tasting menu and wine pairings, it should have been unforgettable. It wasn’t. Everything was nice except the dining room was too cold and that was a bit distracting. That was our second dinner in 3 weeks time. The food and service was impeccable. This is not the same restaurant as Seasons. It has totally changed for the better. Will go back again soon. Lovely location, lovely seating areas, pleasant staff, fun to people watch and the food was excellent. We joint Ocean House to celebrate our's daughters birthday. Even two reminder, when her desert arrives, no candle on ! Concerning the menu, some mix of foods were surprising! There was too many people to take advantage of the peace of a Relais & Chateau. This is our second visit to this fine restaurant. The service staff are very attentive but not overbearing. The food is excellent and the menu is very creative. 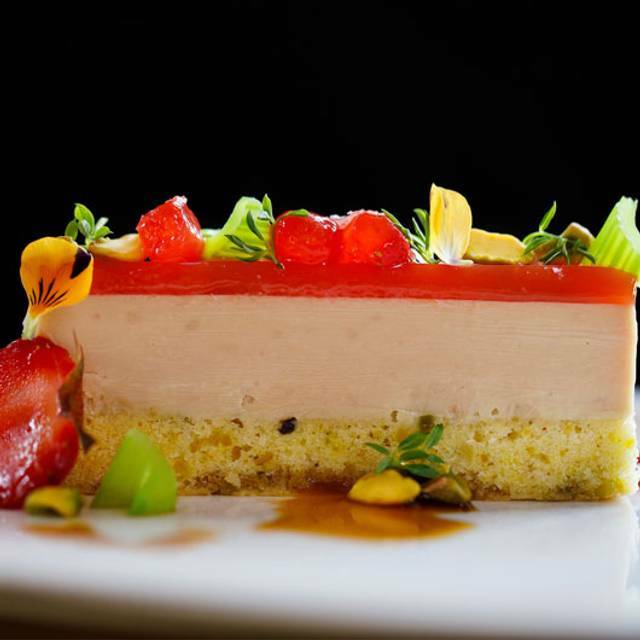 The foie gras is a must try. The after dessert candy and macarons have exquisite details and are delicious. 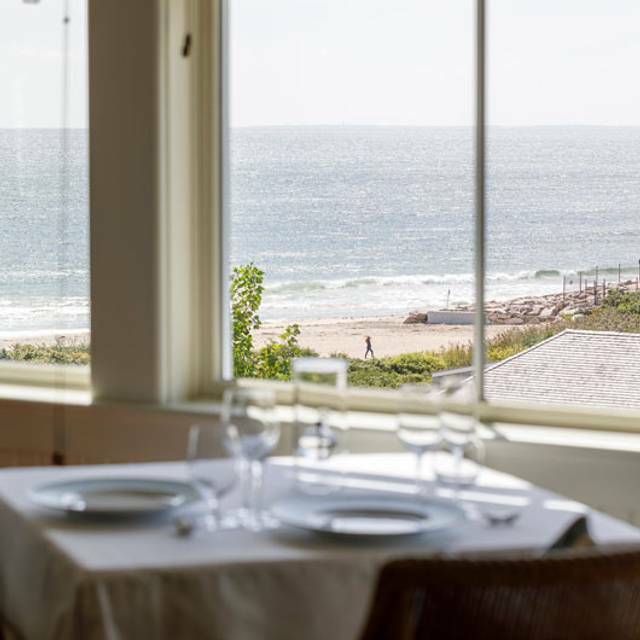 The views of the ocean are spectacular from every angle of the restaurant. A wonderful experience. Great service on top of an excellent atmosphere and food! Well done! Coast at Ocean House has become an annual event for us. It is just plain terrific. The food is creative and delicious. The service is impeccable but not obsequious. 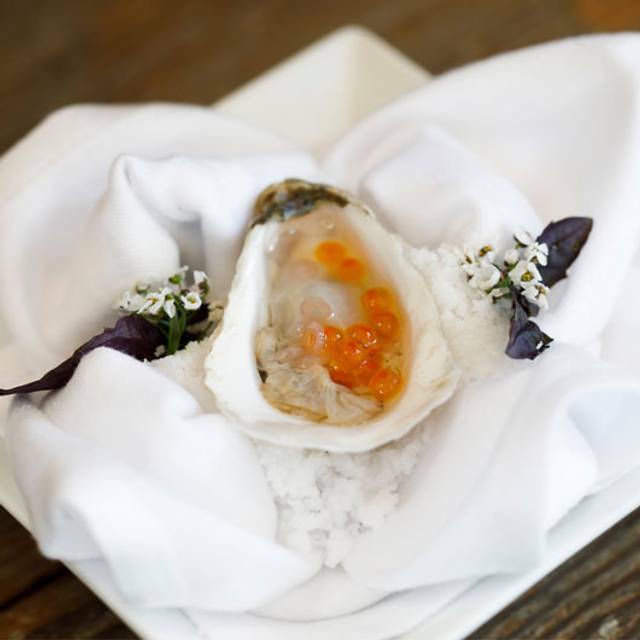 It is a price fixe menu and is not inexpensive but if you want a real classy and interesting meal, try Coast. Awesome experience - food and service could not have been better! One of the best meals I have had in a very long time. Each of the 5 courses were exceptional. Service was fantastic. Since they revamped and renamed the restaurant (use to be Seasons) it has been fantastic. I have already reserved another dinner there in 3 weeks! Expensive but I highly recommend it! Spectacular setting. Beautiful table and view. Supremely professional, courteous and enjoyable service. Interesting five or six course meal choices which delivered delicious options. Beautifully constructed cocktails and excellent wine decanted nicely. Food favorites included the foie gras, duck, halibut and cheese courses, but all were excellent. There were lots of extra surprises for our special occasion which were much appreciated. The additional bread course was very memorable with individual mini-loaves with special artisanal butter and salt and pepper choices. Our main server, Tryon, could not have been better - he was a true joy and consummate professional. All the staff were top notch. Our party of six all enjoyed our dinner experience thoroughly. This was the best dining experience we've had in a long time. We frequent fine dining establishments with gourmet tasting menus, but this was really something else. Everything was excellent – the food, the presentation, the atmosphere, but most of all it was the wonderful and attentive staff who made all the difference. 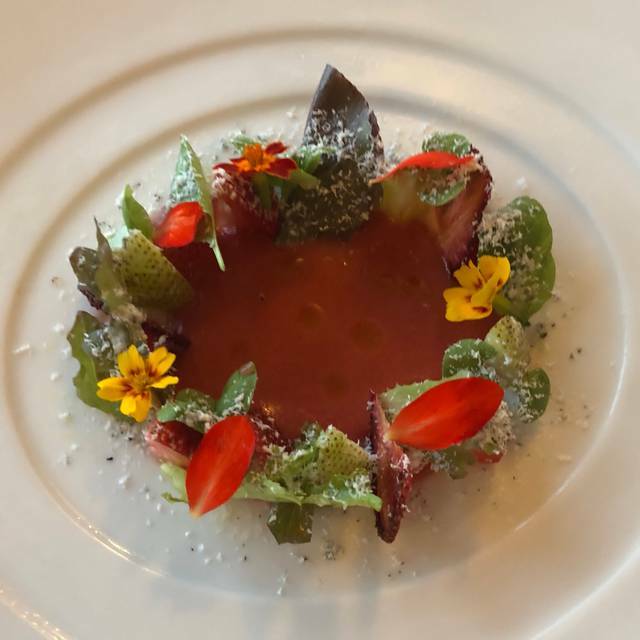 We definitely recommend tasting menu with wine pairings – the first course was really a nice surprise, the fish and the meat courses were excellent, and the foie gras with the special sauce was simply out of this world. We dined there twice during our short stay at the property, and the chef was kind enough to make some changes to the menu to keep things interesting. It was also a very pleasant surprise when the chef came out to meet us at the end of our second visit. Overall this was a very special experience, and we’ll be back for sure! Outstanding waiter (Alex), superb knowledge from a young man! Wonderful tasting menu. Each course was interesting and well prepared. Some very good wines at less than $100. So sad to say this restaurant did not deliver the outstanding meal you would get at the former Ocean House restaurant Seasons. I would avoid dinner here and just get drinks. Our waiter Tyler very professional and very attentive! Dining room was very cold so not too comfortable for the length of time we were there. Excellent food and atmosphere. There was a dress code that we were not aware. Made it a little awkward. Staff was accommodating but still awkward. What a fabulous evening. Everything was really perfect. I can’t say enough about how fantastic our evening at Coast was. We are from the Midwest but this place is reason alone to come back to the area. Truly fabulous. The drive into the area is quite beautiful and pulling up to the small driveway of the Hotel itself to be greeted by a pair of very smartly dressed and professional Valets, certainly starts the evening off well. To be told that there was no tipping as “the only payment we want is your presence” was very refreshing. The hotel is a breath of fresh air to a bygone era of large mansions and treating guests as just that – guests rather than paying customers. As we were a little early, we were greeted and directed to the bar with the promise that they would come and get us at the appropriate time (which they). We explored a few inspired cocktails from Amy's creativity. The seating for dinner looked directly out over the water, the ambiance was muted, with just a hint of background music and the tables impeccably dressed. Great start to set the correct scene for a culinary masterpiece. The Food was 5-star – from a Black Pepper Tagliatelle (with a ‘to die for’ smoked pork bouillon), to roast breast of duck that was so tender and full of flavor, to a Risotto that was perfectly al-dente with widely range or complex flavors. Throw in a Vacherin and a exquisitely presented Souffle and you have the perfect desserts to end. Delicate flavors throughout, very fresh ingredients, meals cooked to perfection (and I do mean that), very stylish plating and so many little touches that made the culinary experience so much more than ever hoped for. From the serving staff, I really do have to highlight two people – Kevin our very knowledgeable and personable Sommelier, and Jillian who was always there with an enormous smile and a real dedication to service. Ask for them by name if you are at Coast; in fact demand to have them as part of your dining experience. 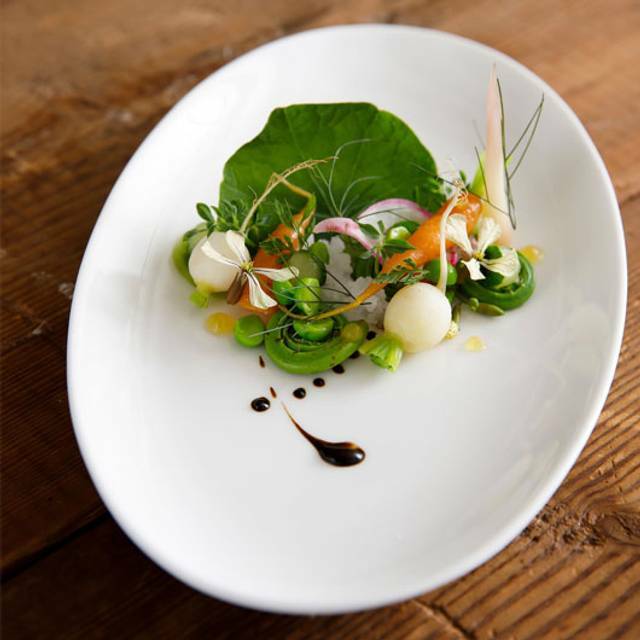 To find a truly gastronomic experience and old world service is rare in this area. You do pay for it but you can't begrudge the price of this kind of quality - definitely worth every penny. In a word: Outstanding! The food was incredible and the atmosphere and view were wonderful. Such a treat for a special occasion or date night. It’s hard to leave Ocean House!